Provide comfort for the family of Carol Block with a meaningful gesture of sympathy. Carol Lynn Block, age 87 of Manistee, died peacefully at her home in Manistee, Michigan surrounded by her family on Thursday December 13, 2018. 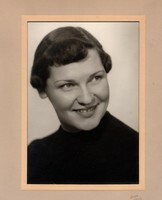 Born July 11, 1931, in Manistee, Carol was the daughter of the late Emil and Maurine (White) Benson. A 1949 graduate of Manistee High School, Carol later met the love of her life, Donald Glen Block. They married November 5, 1955 at Faith Covenant Church in Manistee, and recently celebrated their 63rd wedding anniversary. She was employed at Manistee Medical Care Facility for twenty-eight years until her retirement in 1995. 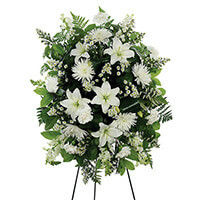 Left to honor Carol’s legacy of love and kindness, are her beloved husband, Don; Five children, Kay Ann Block of Grand Rapids, MI, Debra Kupp of Sugar Grove, IL, Peggy Sue Stone of St. Joseph, MI, Jay (Sue) Block of Lowell, MI, and Lisa (Greg) Wilson of Northglenn, Colorado. Twelve grandchildren, David (Jessica Bowser) Turkaleski, Eric (Randi Jo) Turkaleski, Ryan (Kelli) Turkaleski, Stephanie (Paul Filis), Meghan (Dave) Christoffel, Dustin Stone, Alex (Hillary) Block, Travis Bergy, Blake Bergy, Benjamin Wilson, Emery Wilson, and Cooper Wilson. Seven great-grandchildren; Dimitri and Daran Turkaleski, Cole and Collin Bockman, Olivia and Natalie Christoffel and Benson Block. One sister-in-law, Elaine Block, one brother-in-law, Bruce Block, one uncle, Zane Niesen, numerous nieces, nephews and friends, among whom are her dear friends, Betty and Clarence Sullivan of Manistee, and Jim and Sally Hoornstra of Cedar Springs, MI. Preceding her in death were her parents, two sisters, Nancy (Charles) Morton, Gail (Chuck) Rogers and grandnephew, Mark Benson Rogers. The family would like to say a special thank you to all the nurses, aides, social worker, and “Bump” of Munson Hospice of Cadillac for their compassion, care, and love bestowed upon Carol during her final days. In addition, to many people who offered prayers to comfort and strengthen our family during this difficult time. They all made the difference and we thank you. A celebration of life is scheduled for December 20, 2018, at 2pm at Oak Grove Funeral Home. Pastor Herb Frost presiding. The family will receive friends at 1pm until the time of service. Please feel free to share a memory or photo of Carol at www.oakgrovefh.com. The family has entrusted funeral arrangements with Oak Grove Funeral Home & Cremation Center of Manistee. 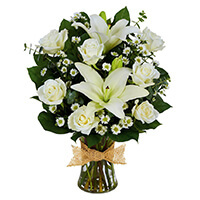 To send flowers in memory of Carol Lynn Block, please visit our Heartfelt Sympathies Store. Dana, Melissa, Vish, Kelsey, Jay and team, Blessings, love, and prayers your friends at NTTA, and others have sent flowers to the family of Carol Lynn Block. Lisa and Block Family, We are sorry for the loss of your mom, and want to let you know you're in our thoughts. Sending most heartfelt sympathies from all of us to you. Dana, Melissa, Vish, Kelsey, Jay and team purchased the Tribute Mixed Vase Arrangement - All White for the family of Carol Block. Our deepest condolences for your loss. 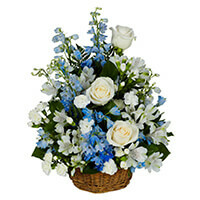 Wishing your mom’s loving memories forever hold in your heart to bring you comfort and peace. Blessings, love, and prayers your friends at NTTA purchased the WHITE STANDING SPRAY for the family of Carol Block. To a lovely wife, mother, grandmother and friend. You will be greatly missed but we pray that you may rest in eternal peace. Richard and Gillian Gamm purchased the PEACEFUL WISHES BASKET for the family of Carol Block. Carol will be missed by so many. I will never forget her beautiful smile, it was the biggest, best smile ever! Her eyes twinkled along with that smile. All of my love, hugs and prayers to all of you.